Ready, set, let’s go! There are many ways to get from one place to another. You can take a train, a helicopter, even a monster truck! These compelling introductions help young readers explore different modes of transportation. 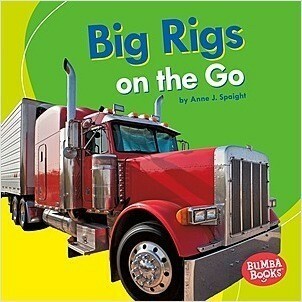 Carefully leveled text and vibrant photos engage young readers and show how each type of vehicle works and what it does. Age-appropriate critical thinking questions and a photo glossary help build nonfiction reading skills.